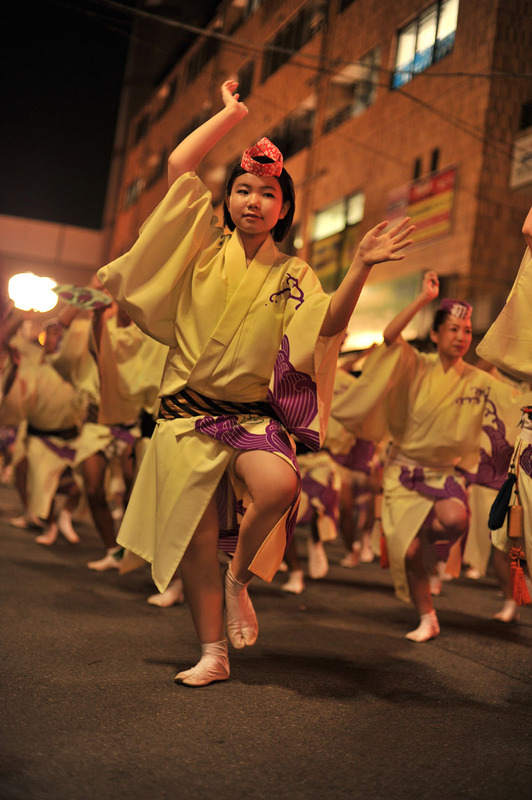 This weekend is the absolute peak of the Awadori festivals of the year, all over Kanto there are large and small festivals taking place and I can not think of any team that has not been mobilized. 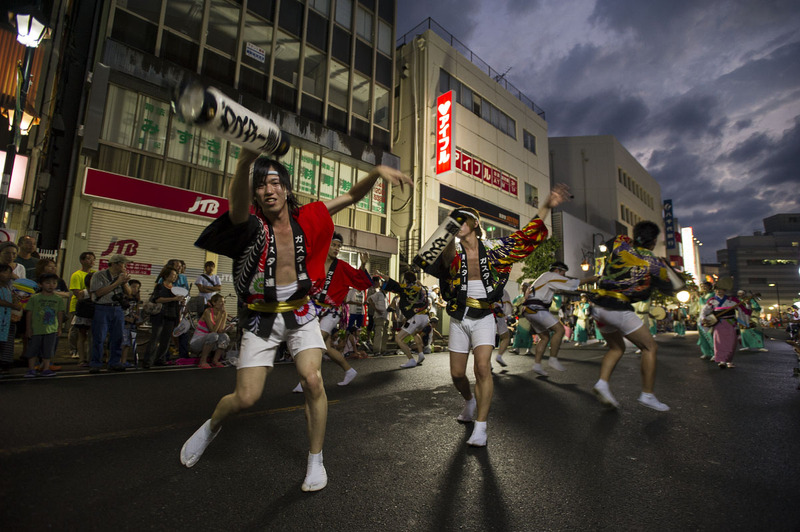 If you are in the Kanto area, you have no excuses! Ready? 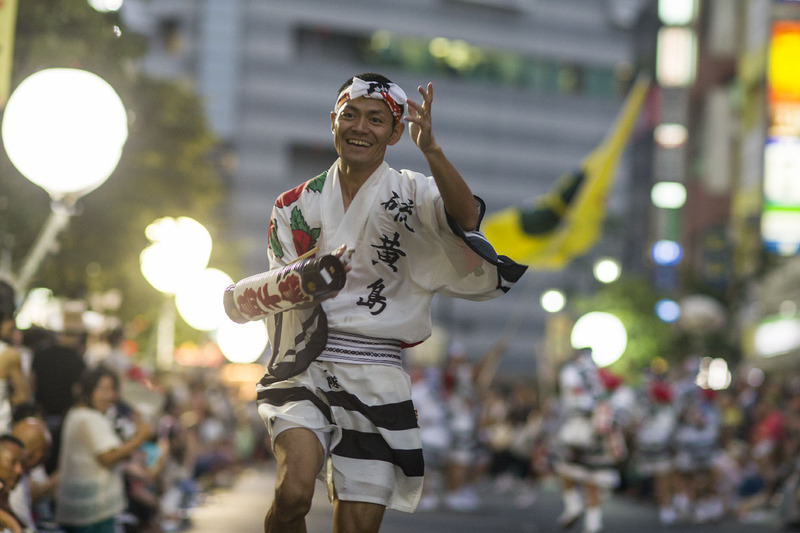 Here goes: On Friday the big festival is the Kagurazaka Awaodori, with well over 15 different teams taking part in one of the most grueling locations offered in Tokyo – the steep Kagurazaka slope! 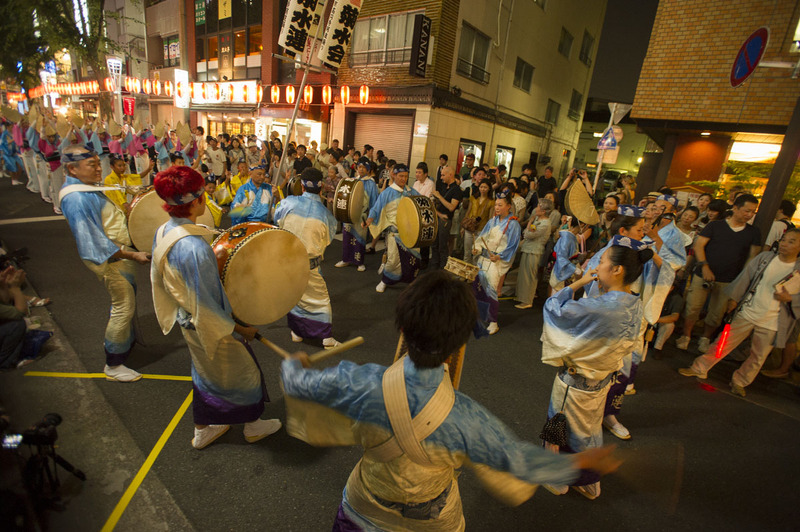 But even if you are in Kitamachi you can catch one of the two performances of Ponpokoren, or in Chiba’s Mobara you can see two different hour long performances by local teams. 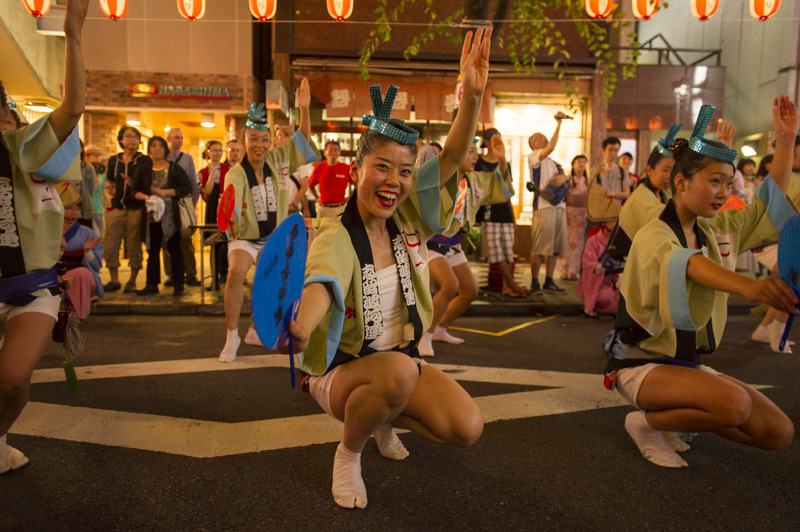 On Saturday you have the smaller Kasei Awaodori and the Minakendori festivals in Tokyo, the second day of the massive Kagurazaka festival and the first main day of the large Kitamachi festival, and the big Koganei Awaodori first day which might be even bigger than Kagurazaka. 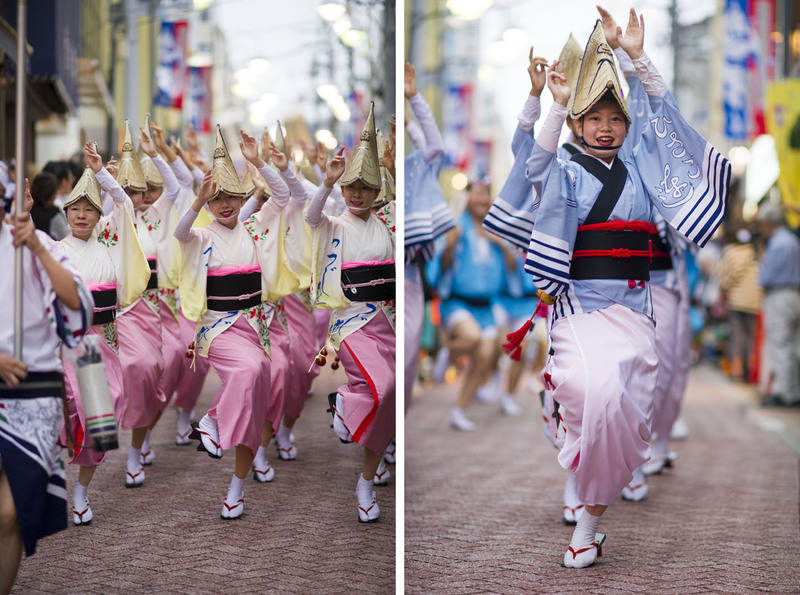 Also the full blown main event Mobara Awaodori in Chiba with eleven teams! Not bad! 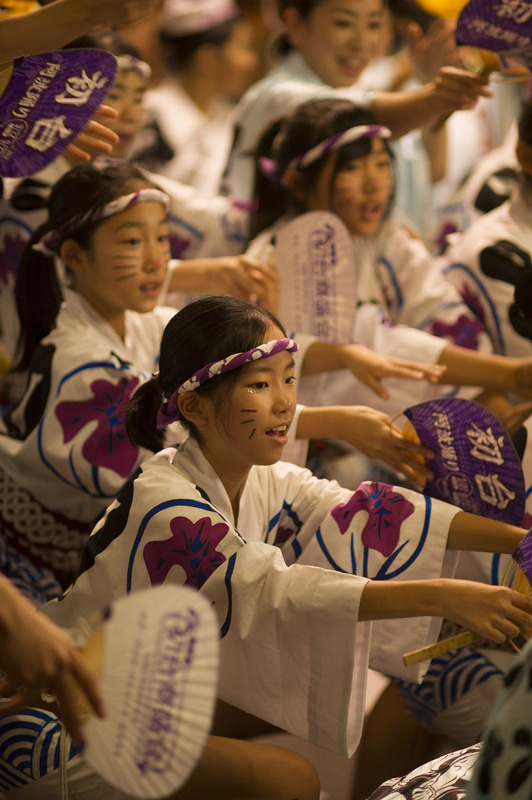 This is in addition to smaller performances by single teams in Kamata, Kashiwa, Kawagoe, Hamura, Fujisawa and Asahi! 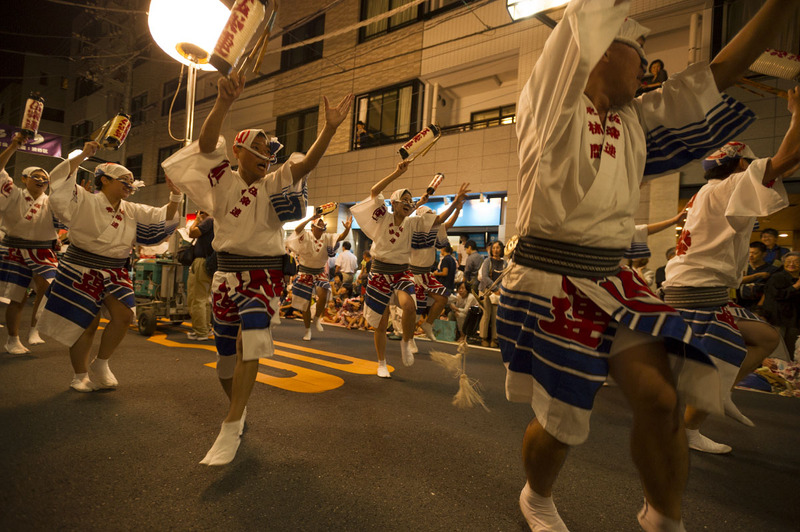 But the big one of Saturday is the huge Yamato Awaodori in Kanagawa Prefecture with well over 18 teams! 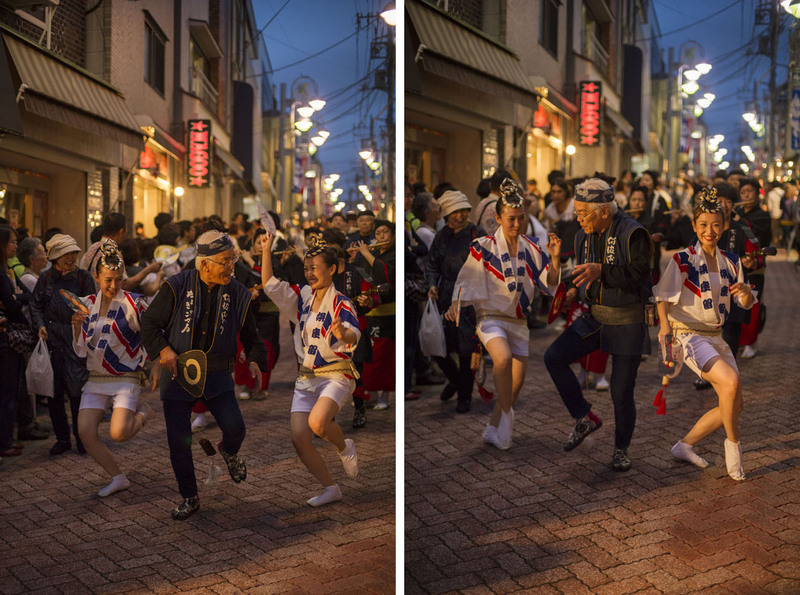 If you still have any energy left, Sunday gives us performances during the day in Kamine Kouen and Yamato at noon, and three teams in Fujino City in the afternoon, giving you time to head over to the second day of the Yamato Awaodori festival starting at five, the relatively tiny festival in Tanashi or the smaller festival in Kasei (with merely eight teams! 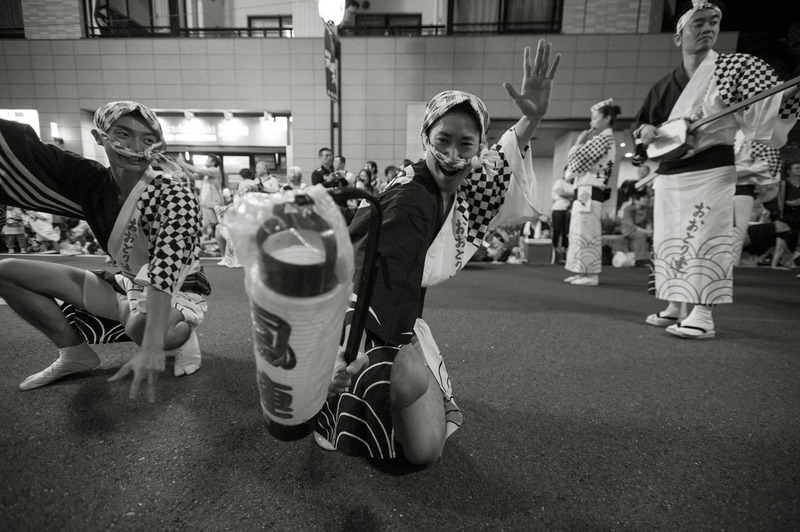 ), or the second day of the huge Koganei festival. 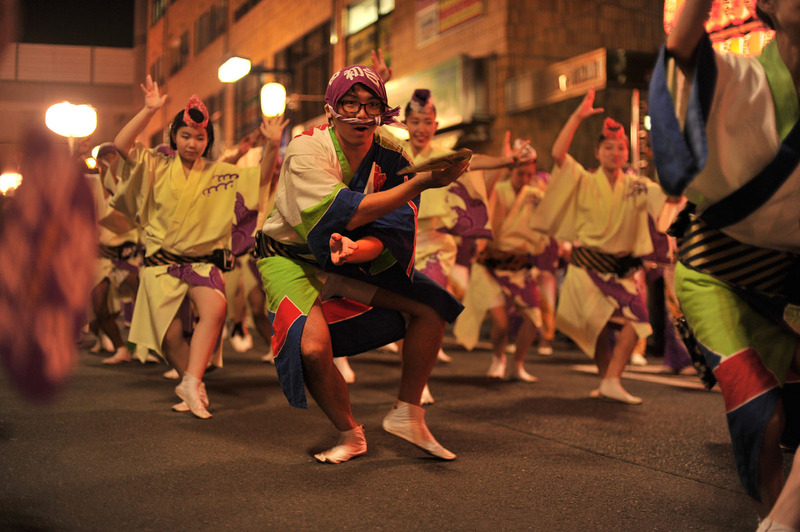 This is addition to performances by one or two teams in about ten other locations on Sunday, all over the Kanto area. I will be keeping busy this weekend. 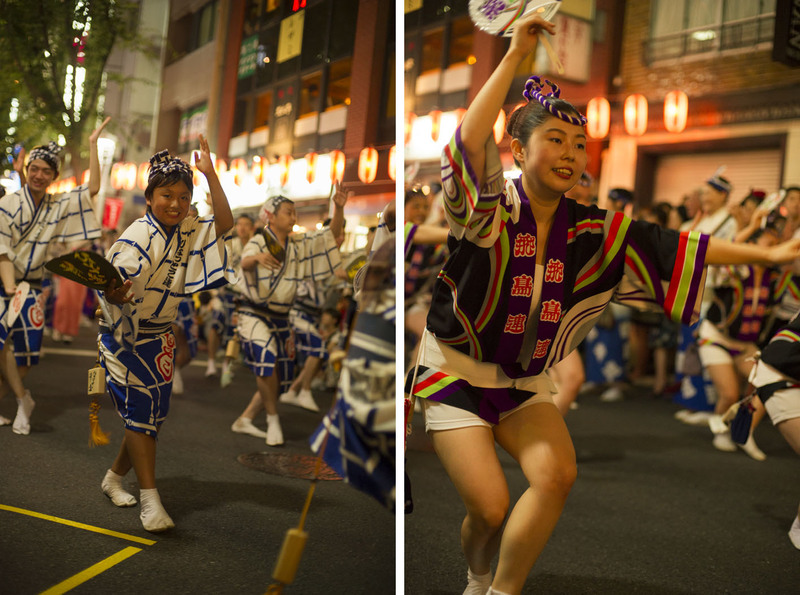 But I might have to divert my attention to a few non-Awaodori festivals. This weekend is truly the one I could consider renting a helicopter for! 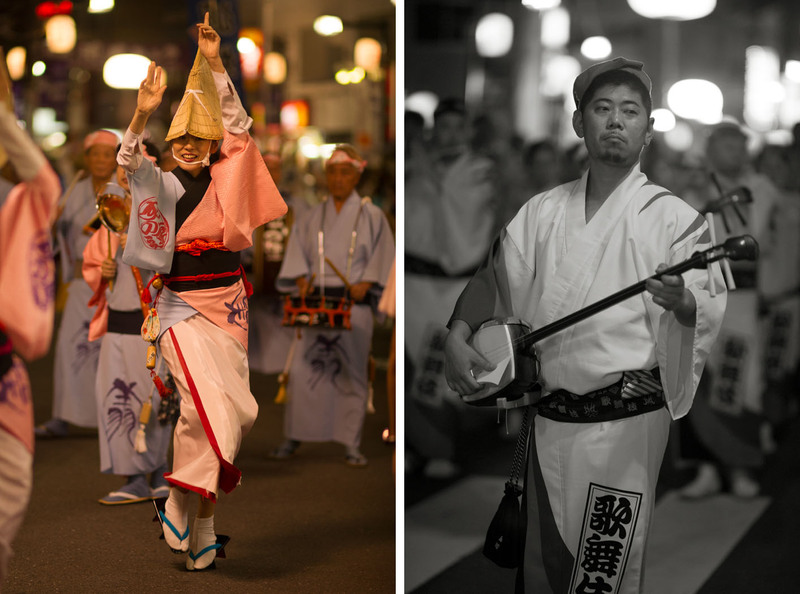 Here are photos from last year’s festivals in Kagurazaka and Yamato! 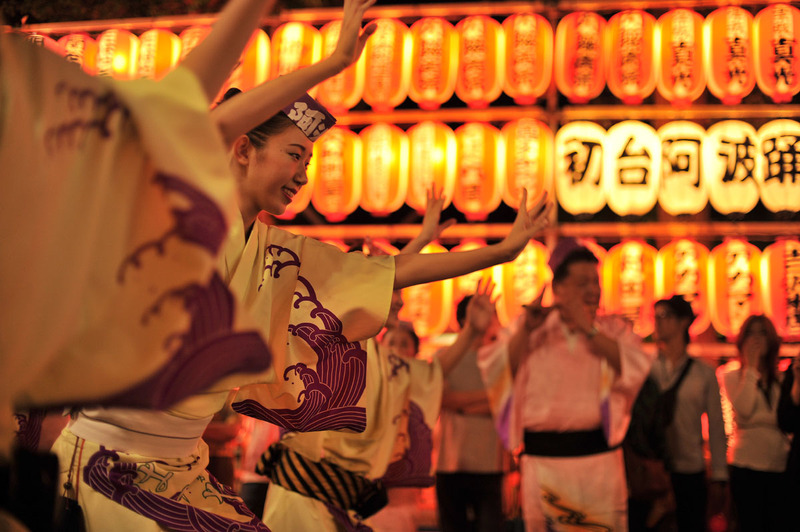 As you can see they have slightly different characters, but both are absolutely excellent festivals. Enjoy! 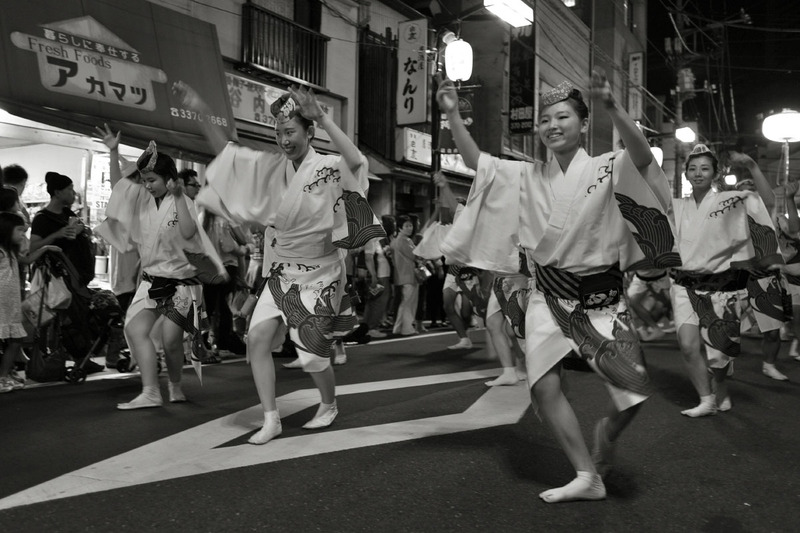 Edit – I think this is a good opportunity to mention a subject brought up by Yoshizen on Awaodori as Culture, where he mentions Awaodori as an example of popular Japanese culture that has not been exported abroad (although there has been attempts recently), or an example of Japanese pop culture not related in any way to the hugely famous manga and anime cultures. I think this is a very correct way of seeing things. 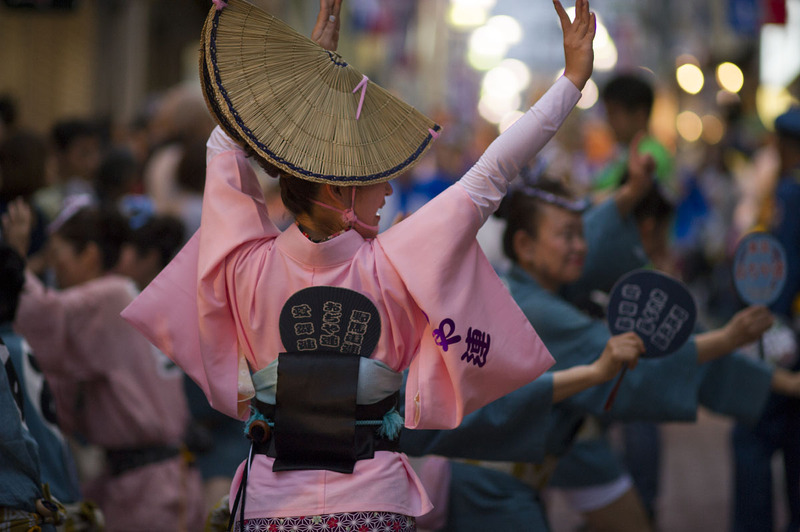 In this post Yoshizen does not ponder too much why this particular pop-culture has not made the leap abroad, but I think the most obvious answer is the difficulties of commodification inherent in Awaodori. 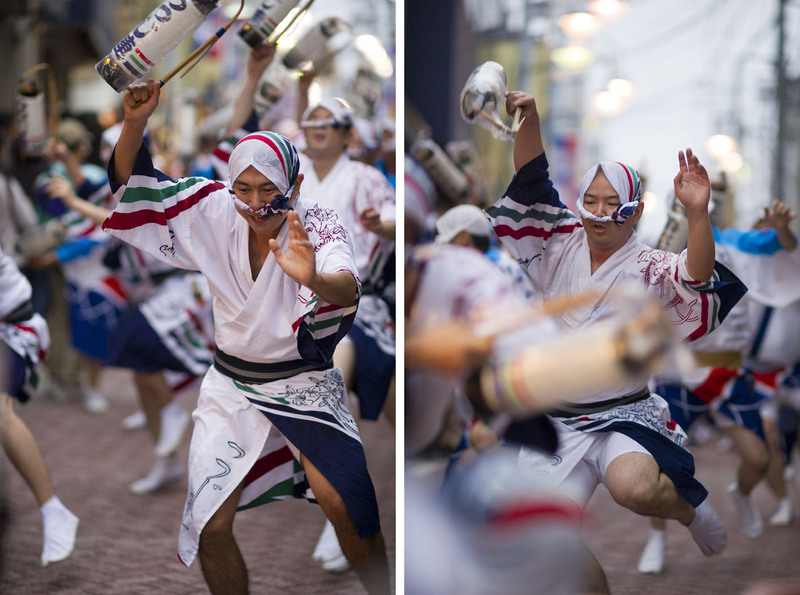 Sure there are opportunities for sales and products but Awaodori is above all a participatory sport involving lots of people (and that includes the audience) and massive amounts of time and space. 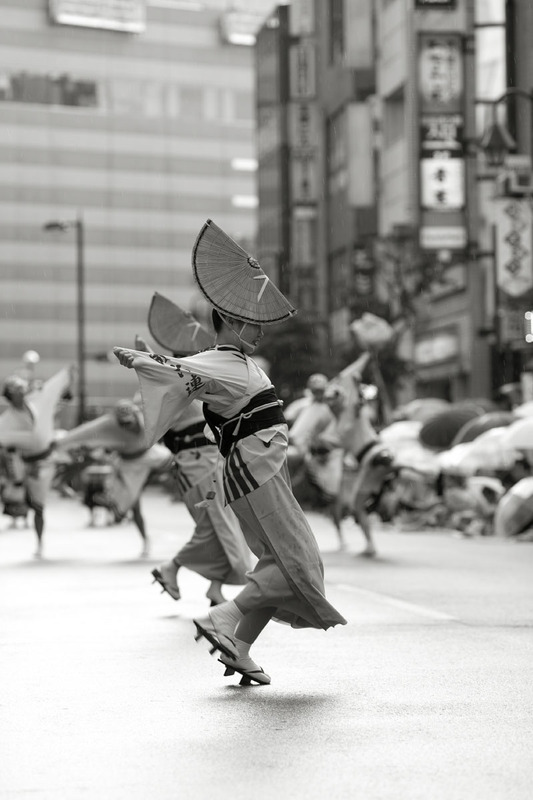 It is not really enjoyable recorded or TV either. 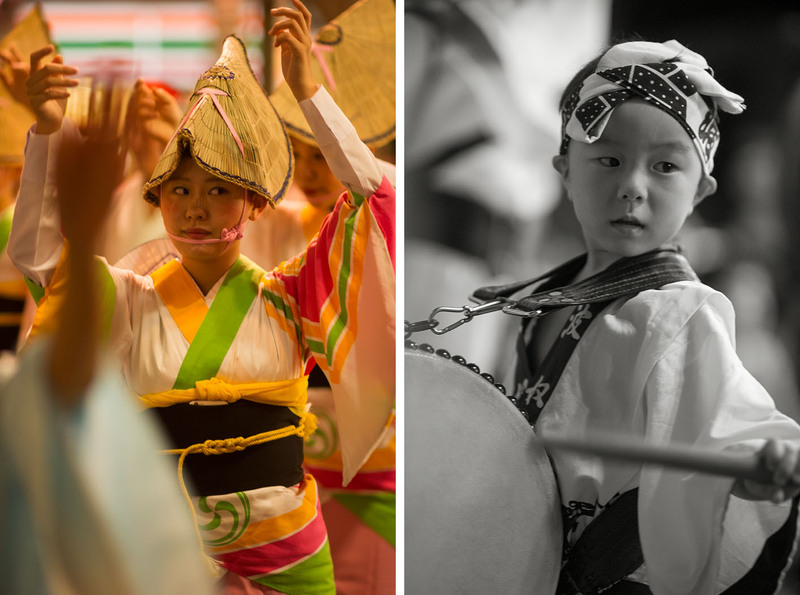 I think we are still a long way away from seeing Awodori make the cultural leap abroad, but I declare the first foreign city to host more than two teams to be the future capital of International Awaodori. If things go well in our world, I am sure it will happen. 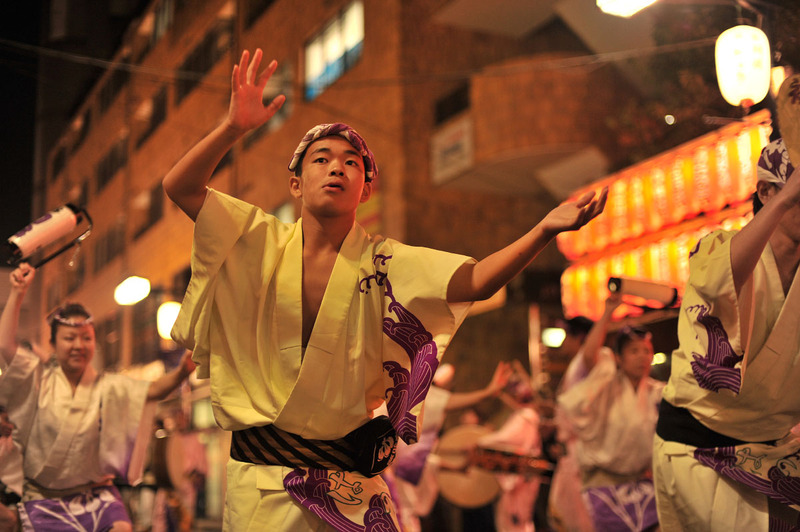 In the U.S., San Francisco is taking the lead with The San Francisco Awakko-Ren! !